Hello, mga ka-barangay! If this is your first time to visit and read through the Cherry Mobile Blog, we would like to welcome you to this page. Welcome sa aming fresh na fresh na website! If you are a constant visitor since our site revamped, thank you for your support. We truly appreciate it. Over the past months, we have introduced a lot of new phone units. We are sure most of you have noticed these phones in our new flyers. Kung hindi niyo pa nakikita yung iba sa kanila in stores, don’t fret, paparating na sila in a few weeks or months. Marami sa inyo ang natuwa sa additional Cherry Mobile handset models and we are certain, with this entry, mas marami at mas lalo pa kayong matutuwa. One of the new cherries that we have introduced in this side of the farm is the Cherry Mobile W1 Handset. At a sweet price of Php3, 499, you get a touchscreen Opera Mobile phone that’s also equipped with Wi-Fi connectivity to make your browsing experience more exciting than ever. With Opera Mobile 10.0, W1 brings to its users fast download speed, refined user interface, speed dial and tabbed browsing features. Tayong mga Pinoy, kasama na natin everyday ang Facebook, Twitter and everything that goes with the internet kaya naman sa W1, winner na ang surfing niyo. This dual SIM handset also has a 3.0 MP camera, Multimedia Player, Cherry Mail, Cherry Music and Cherry Messenger. Post your answer in your Facebook and Twitter profile. Leave a comment below with a link to your post so we can validate it. Include your name and your email address in your entry. Please make sure that we can see it and view it publicly. We’ll choose the participants with the most creative statements. We will acknowledge them in a separate entry and from that group, we will pick the lucky winner through a random draw. 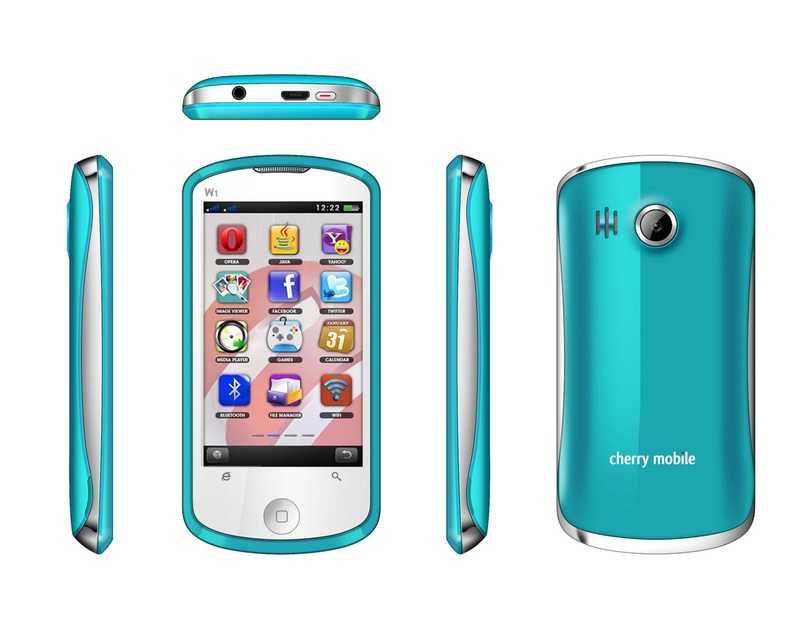 We will announce the winner of a Cherry Mobile W1 on Wednesday, October 12, 2011.